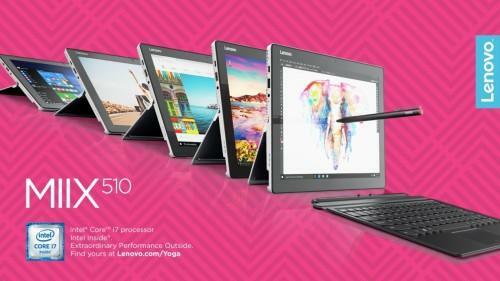 Towards the end of 2016 Lenovo will be launching a group of top-tier laptops and hybrids in India which all have high-performance features, sleek designs and are portable-friendly. Included in the releases will be a new IdeaPad range which consists of 4 new IdeaPad devices. The most cost-effective of the range is the IdeaPad 310 which will be priced at 28,390 Indian rupees (around £335). 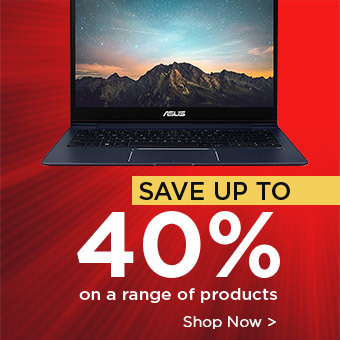 The 310 features a powerful Intel 7th-Generation Core Processor with a 15.6-inch display as well as additional features such as Dolby stereo speakers. These efficient specs and features make the entry-level device great for web surfing and entertainment purposes. The second in the range is the IdeaPad 510 which has slightly better features including an Intel Core i7-75005U processor, 8GB of DDR4 RAM and a NVIDIA GeForce 940MX graphics card –making it a great affordable option for gamers. This device is considerably higher in price compared to the 310 and can be purchased at the cost of 61,690 rupees (the equivalent of £727). The promising 510 is followed by two high-end laptops which have even more impressive specs and are also portable-friendly; namely the IdeaPad 510s and the IdeaPad 710s. They are designed for professional use and are priced at 51,090 rupees and 73,390 rupees consecutively (£603 and £866). The 510s is highly portable, weighing less than 2kg and it has an extensive storage space of 8GB DDR4 RAM, along with a 14-inch FHD display that has 1920 x 1080 pixel resolution. It also features a powerful Intel Core i5 Processor which is great for power-consuming tasks and multitasking, as well as multiple USB ports. The productivity-enhancing features of this device give the impression that it will be great for both students and business professionals. The final anticipated release in the IdeaPad range is the 710s which weighs less than 2.5 pounds and has a series of high-end features. It has a powerful Intel Core i7-7500u processor and 8GB of DDR4 RAM, as well as integrated Intel graphics. The hybrid range released by Lenovo consists of the MiiX 310 and 510; both these devices are designed to be flexible and portable. 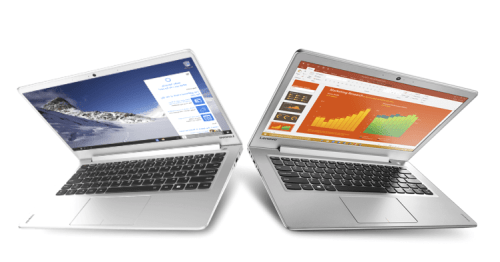 The cost-effective 310 is a calculated move by Lenovo to target the hybrid market, and the company has succeeded in creating a device which has all the features to be portable-friendly, along with an affordable price point. The Miix 310 costs only 17,490 Rupees which is an affordable £206, and it has a set of great features including 2GB RAM, a 32GB EMMC SSD and a 10.1 inch 1280 x 800p display. Along with the lightweight design of the device, it also has a great battery with a maximum of 10 hours use without recharge. 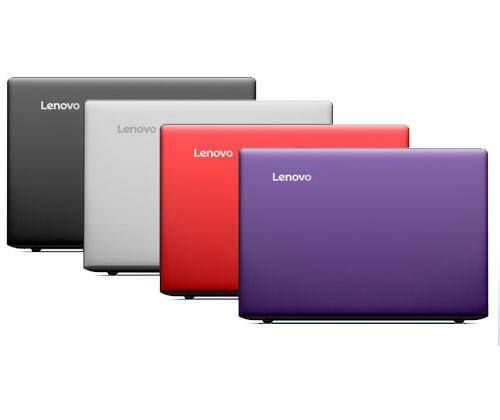 A metallic design with a number of stand-out features, including Lenovo’s trademark watchband hinge. Windows 10 which allows easy multitasking and additional features such as Windows Ink. The ability to use the device from any angle along with 1TB PCle SSD storage so you can easily save your favourite music and films. Great connectivity with optional LTE so you can always connect to the internet! You can also charge your smartphone using the device. These upcoming devices by Lenovo seem very promising considering the variability in features and price points, and we predict them to be very successful in India’s consumer market. Check out our blog regularly to keep up with the latest tech news.